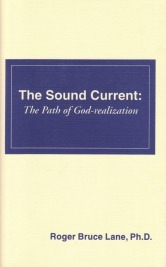 The Sound Current: The Path of God-realization - describes the Sound Current, Which is the Lord, God; the Soul’s True Nature; and the Purpose of HU-man Life. Essential reading for those interested in coming to Know themSelves as Soul, as Spirit. Available free of charge. To receive The Blue Book you must have attended at least one Meditation of The Light of The Most High at any of our Centers. A Baker’s Dozen: Tools For Daily Living is a day-to-day guide to living your life from a Spiritual Perspective. Written by Roger B. Lane, Ph.D., the Founder/Director of Cosmos Tree, Inc., a nonprofit educational foundation that gives people Tools to use to live in Peace regardless of the “outer situation”. A Baker’s Dozen is the premiere Collection of Tools For Living Free, an enormously popular Tool both in the U.S. and outside of it. The Book is comprised of excerpts from Dr. Lane’s many monthly life-altering Talks of Spiritual Instruction, with each Chapter giving readers from teens to adults of all ages what they need to know and do to live freely and joyfully. This means learning to focus into the Spirit you are – and to surrender negativity moment to moment. Easy, quick exercises that readers do in a few minute’s time enhances and focuses their learning. The more they “work” these Tools the more they “Work”. The proof is in the popularity – many readers keep ToolKits of them and even maintain at-home libraries; it’s now time for many more to live in this Peace as well. Chapters run from “Using The Tool Of Choice” to “Spiritual Economics” to “How To Create Wisely” to “Worry. Then Use Worry To Lift” and more. 13 in all, in an easy-to-carry size and weight so readers can take the Book with them and review it as often as they wish, growing as they do and sharing that growth with others. Ease of use has been a key to the popularity of these cherished Tools. This Book makes a beautiful gift – for graduation (the earlier you begin living Spiritually/Peacefully the better! ), for parents, for college and high-school students and for adults of all ages. SpiritCentral - our bimonthly newsletter featuring Center news; upcoming Events; synopsis of latest Satsangs (Spiritual Instruction) and Special Events; and upcoming Podcasts amongst other exciting Offerings. Subscribe below and receive our Event's Calendar and our popular publication Tools For Living Free; all always free of charge. Tools for Living Free - is a popular bimonthly Educational insert accompanying our newsletter (and available free of charge.) that features vital Spiritual Instruction -- major excerpts from our Monthly Spiritual TALKS, Processes and Case Studies -- which helps you to stay focused on the Spirit you are and to grow each and every moment. Some favorite titles include "The Power Of Positive Self-Talk", "You Are Worthy", "Spiritual Economics", "How To Run A Business (Life) Spiritually". See over one hundred titles below! SEE ENTIRE LIST OF TOOLS FOR LIVING FREE AVAILABLE!